At the birthplace of the first Pusateri’s store, an ambitious renewal project was undertaken following a devastating fire. Considered as the company’s flagship location, the new store design exploits the building’s two-level height with a dramatic open volume at the epicenter of the space above the demo kitchen. 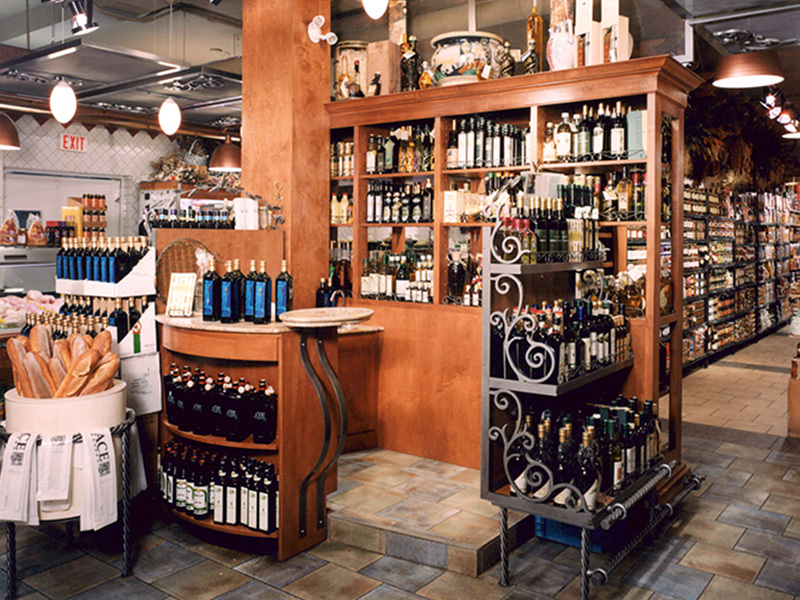 In typical Pusateri’s tradition, only the best-in-class gourmet products grace the store’s shelves and displays. Prior to the fire, the store aesthetic was at the opposite end of the spectrum with wrought-iron details and intricately carved wood furniture.